It’s a bad time to work in newspapers. Papers are downsizing and lots of people are either being kicked out or opting to leave of their own accord. Design departments have been hit especially hard. Designers should consider positioning themselves so that they are less expendable. They should also keep in mind that their work is journalism and has to adhere to the same journalistic principles as written stories. There is no warranty though! So don’t come back complaining to me if – and when – you’re made redundant. First of all, I have to mention that this article was inspired by Francesco Franchi’s presentation at the QVED conference on 25 February. He talked about how this is a good time to work in magazines, infographics, and visualisation. I am sure this is true, but from the perspective of a traditional newspaper graphic journalist the situation looks completely different. It is a very bad time to work in newspapers. Print paper readership continues to plummet in the Western countries. The online versions are doing better and better, but they still struggle to make up for the print losses. Many newspaper editors and executives seem to think that graphics are less important in the online world. So when papers downsize the designers are at the top of the list for cuts. Of course, graphics can be used in many different ways to tell stories and visualise news. One approach is where whole pages or spreads are turned into beautiful visual landscapes, as in the works of Franchi. This might work for magazines or weekly supplements but is less feasible for daily editions where time and space are always limited. Nothing prevents one from trying something similar there too, but often the feasible option is the traditional text + graphics approach. However, graphics in news stories should not simply repeat information which is already told in the text. Instead the text and graphics should work together to tell the story. Fine. This has been stated many times in several books already, but how do you do this in practice? One way is to use graphics to explain some of the key facts of the story. Basic news stories are trying to explain ‘what happened’ and journalists are trained to do this with the 5 Ws and 1 H: Who? What? Where? When? Why? 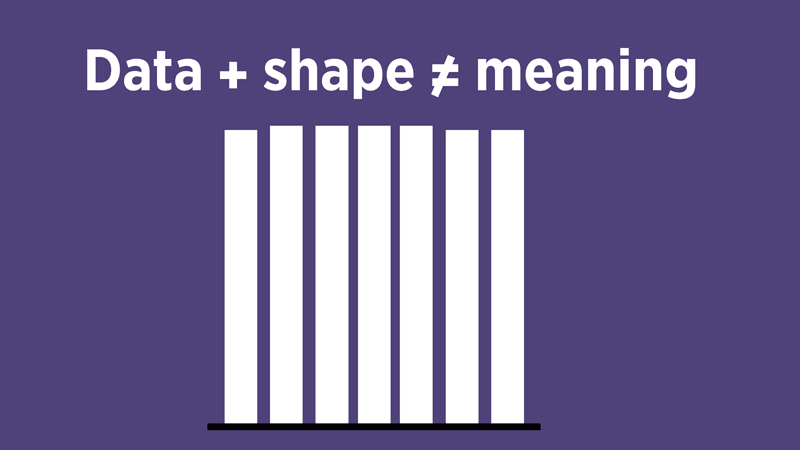 How?1 Instead of using text, these crucial facts can also be explained with graphics. For example, ‘where’ can be answered with a map, and ‘how’ is often actually more easily shown with a illustration or diagram than described with text. 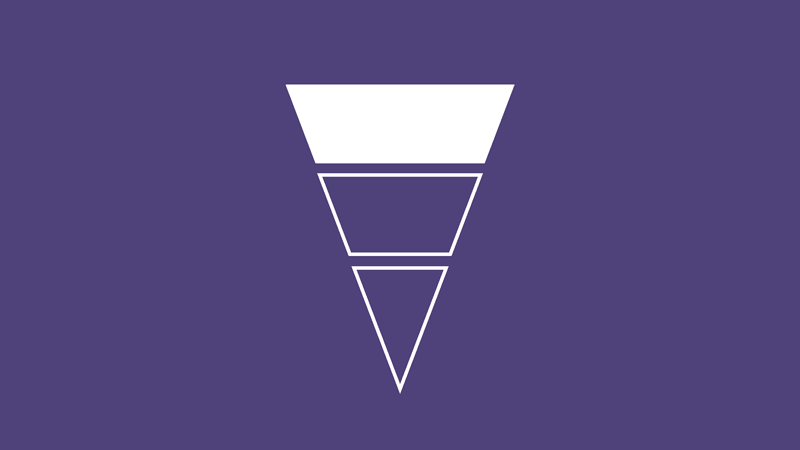 Basic news stories often employ the inverted pyramid model.2 This means that the most important facts of the story, like the answers to the 5Ws and 1H, are dealt with in the very beginning of the story. This is then followed by important but less crucial information. The end of the story contains information that is interesting and adds depth to the story but can also be cut out in editing if there is, for example, not enough space on the page. If the graphics takes on the role of explaining some of the 5Ws and 1H the text is then freed to pursue other areas. Like the emotional and human interest aspects. As journalists often enjoy writing about these things, instead of just reporting dry facts, this solution might win them to your side. At the same time, this way the graphics are not just disposable add-ons, but an essential part of the journalistic core of the story. 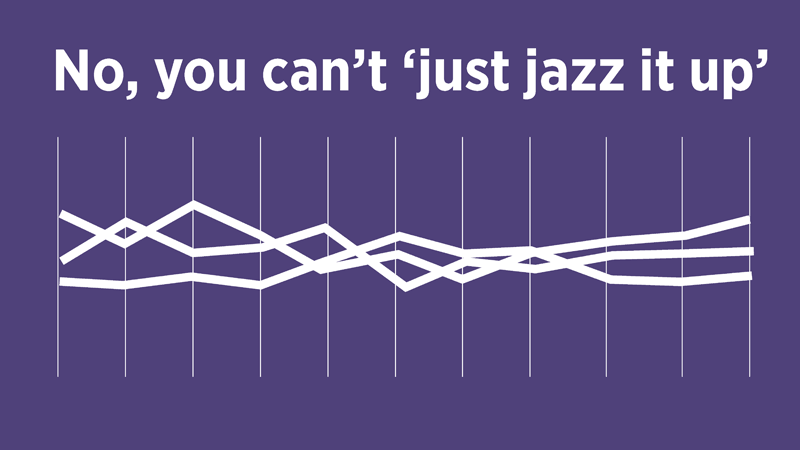 It can be hard to imagine how the graph will look from just looking at the number data. This means that sometimes you have to create the graph first and only then decide what to do. You have to be prepared to scrap your own work sometimes, regardless of how many hours you have put into it. Those hours do not add any value to the reader. Instead of thinking about your wasted hours, think about how having meaningless graphs in the news will simply remind the chief editor and executives about how sacking you will not really hurt the stories anyway. Sometimes the problem is that a writer demands a relatively meaningless graphic. And when they realise this, that is when things can truly get ugly. Here is an example based on my own work history. The polling figures of political parties or candidates can sometimes be very close to each other. So much so, that the differences hardly go beyond the margin of error.5 When there finally is a slightly bigger change the writers, who have been following the campaign for months, might start going all mad.6 They want you to show the amazing new developments in a full page graph which also shows the past six months so the readers will see how momentous this is. And then you do the graph and… it does not really look like much. Again it is the case of graphics being better at showing change. The journalist is entitled to refuse assignments that conflict with the law, his/her personal convictions or good journalistic practice. Graphics are not monosemic. They always have a rhetorical quality in addition to their basic information content. 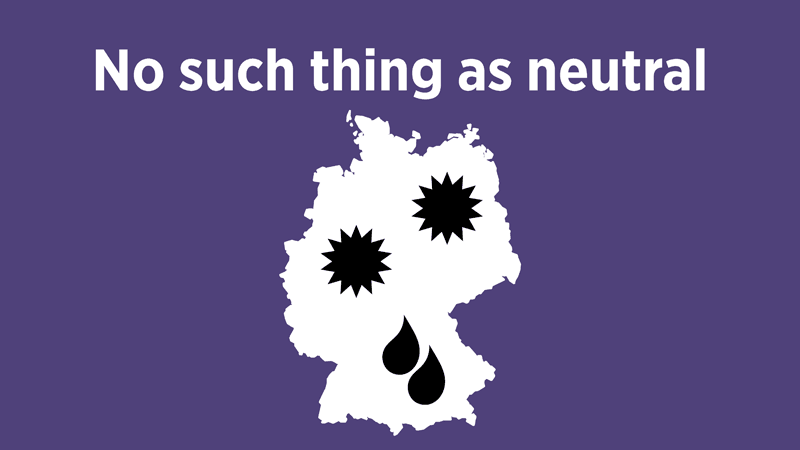 Kostelnick argues that it is only because we have grown so familiar with the basic graphs that we do not recognise their rhetorical qualities.10 Even the most mundane weather map can be seen as perpetuating an artificial political entity such as the nation state. Weather maps can be seen rhetorically similar to how regional journalism – especially when dealing with sports – has a tendency to root for the ‘local heroes’. In many cases there is not much the designer can do about the rhetorical qualities of graphics. But the issue should be acknowledged and kept in mind. The same affects all journalism, where it has long been accepted that true objectivity is an unreachable ideal.11 But whereas writers continue to debate objectivity, designers often seem to be naively oblivious to the the whole issue. Engaging in debates about what journalism and objectivity is might also help to legitimise designers as ‘proper journalists’ in the eyes of their writer colleagues and editors. 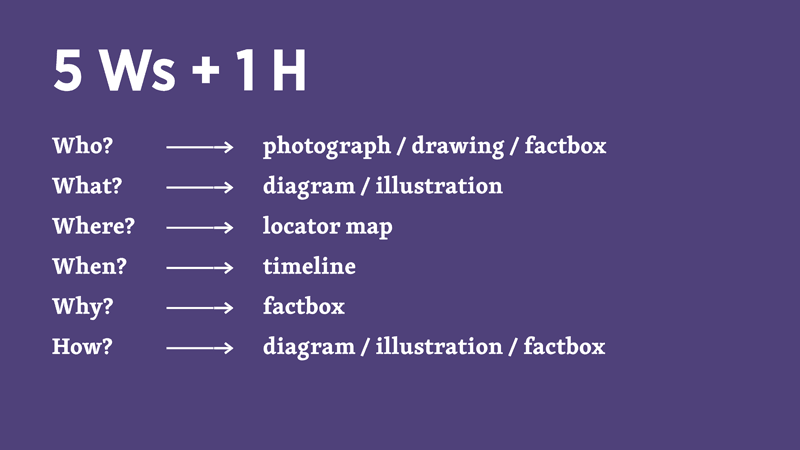 Creators of graphics should position themselves primarily as journalists and not as designers. This is why many of us (like myself) prefer terms such as graphic journalist. This should also be reflected in the work. Graphic journalists should participate in the complete journalistic process from the beginning to end. 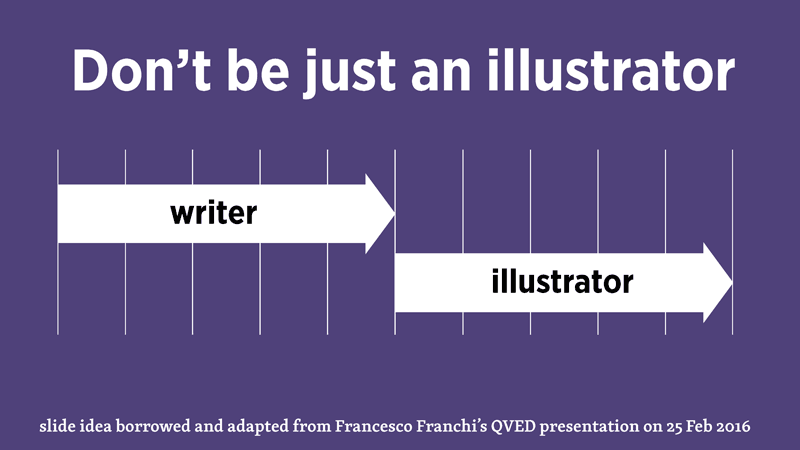 I have borrowed and adapted a slide from Franchi who showed us a process where a writer is engaged in the beginning of the work and then an illustrator finishes the job. He also mentioned that in his work it is only the information designer whose role lasts through the whole process. Here is an important point from the perspective of career stability. As the illustrator is only the final ‘tool’ that produces the visuals they can be relatively easily replaced with another illustrator. Perhaps with someone cheaper. Perhaps their role can even outsourced. So, in brief, do not be just an illustrator. Be someone who cannot be so easily outsourced. So what should a graphic journalist be then? We can speak of information designers as Franchi did. I personally prefer to use the term transformer. This comes from the Isotype movement and has been explained well by Macdonald-Ross & Waller.12 Basically, a transformer is a person who takes complex information and makes it accessible to the audience. A writer asks ‘how do I best present this with text’. A designer or illustrator asks ‘how do I best present this with graphics’. 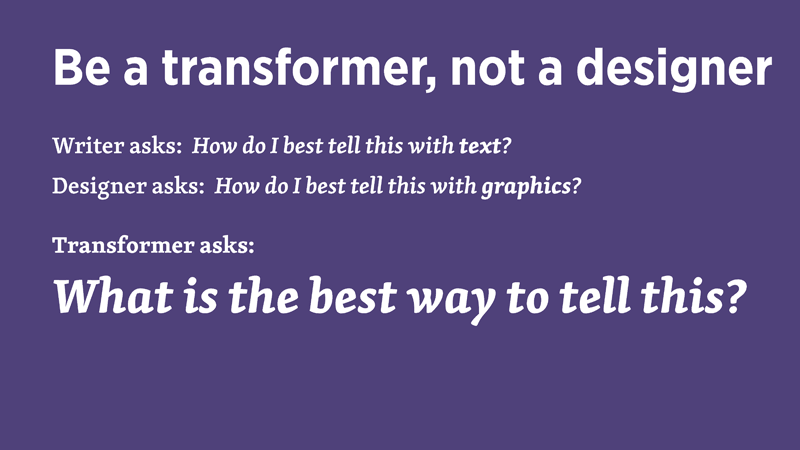 But a transformer asks ‘what is the best way to present this’, always choosing the best possible format for each type of information, and thus making it easily understandable. And that is the core of all journalism. Not writing, not drawing, not photographing. It is about explaining things to the audience.